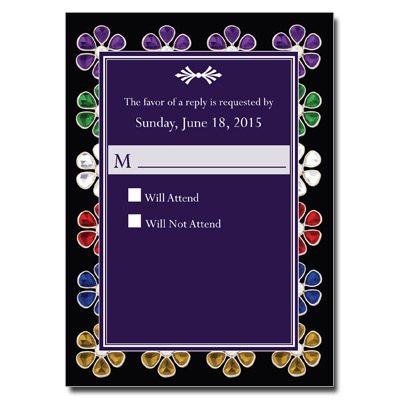 A design of jeweled flowers is printed across the background of this elegant Quinceanera response card, with your personalized event information framed in purple above. Rich tones of purple, green, diamond white, red, blue, and gold create a royal look for your daughter's special day. Card measures 3.5x5.